I love my grandma. No, I mean I really, really love my grandma. She is a very special lady who I not only admire, but aspire to be like. She is creative, kind, patient, artsy and so strong-willed. She means the world to me, and I share many of her hobbies and interests. I am thankful we have so much in common because it strengthens our bond. She lives fairly close to me, so I am lucky enough to see her frequently. My boys also love going over to great grandma’s house as well. She paints with them the same as she did with me when I was a little girl. Who am I kidding, she still has a thing or two to teach me. Another favorite activity we have is jigsaw puzzles. My son Jakobi loves puzzles as much as we do, and often joins in on figuring out where the pieces go. I thought it would be fun to take an image of Grandma and Jakobi and turn it into a puzzle for them to put together. The boys and I packed up the Envy 2 and headed on over to grandma’s house to take some pictures. I was able to search on my Envy 2 for a puzzle image I wanted to use. I wanted it to be fairly simple for my first project, yet still hard enough to offer Jakobi a challenge. 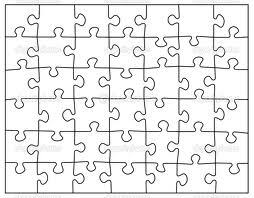 You can print the pattern I used for the jigsaw puzzle by clicking the puzzle image to the left. It will come up to a printable image. Just expand the image to fill the page under your printer settings. I was able to take the pictures and edit them on the go with the Envy 2, and then sending them directly to the printer at home as I went along. This is a huge time saver for a busy mom like me! The quality prints the ENVY 2 prints made the puzzle really stand out. There’s nothing more special than a printed memory to cherish. This is an easy craft to do with your kids. The materials are simple and the rewards are great! Jakobi has so much fun with this puzzle. He loves to put together his own face, and it tickles him pink to see his grandma holding him. He loves her so much and talks about her all the time, so it is fun for him (and me) to relive that loving moment of her holding him in her arms. For more craft ideas to print on your HP Envy 120 printer , refer to my post Har! Craft Like a Pirate or my printables category. You can find more information on the above products at HP ENVY x2 and HP ENVY 120 e-All-in-One Printer. I wrote this review while participating in a program on behalf of HP and received an HP notebook, an HP printer, and a Snapfish gift card as part of my participation; however, all opinions presented are 100% my own. This is such an adorable idea! We love puzzles! So original!!! This is an awesome project! I have quite a few family photos that we would love to turn into puzzles like this. I love this! It really turned out amazing. And I bet Jakobi really enjoys putting that puzzle together. Love this. What an awesome craft for the kids. My children love puzzles and are always asking for them. I may try this with them next. That is such a cute idea for a gift for grandparents! How fun! I bet my nephews would love doing a puzzle with themselves on it! That is the cutest thing. My kids would love to do that! We aren’t near most of our family, and we don’t see them as often as we’d like, so this would be extra special. I LOVE this idea! And that is such a fantastic picture to use. Am definitely trying this!